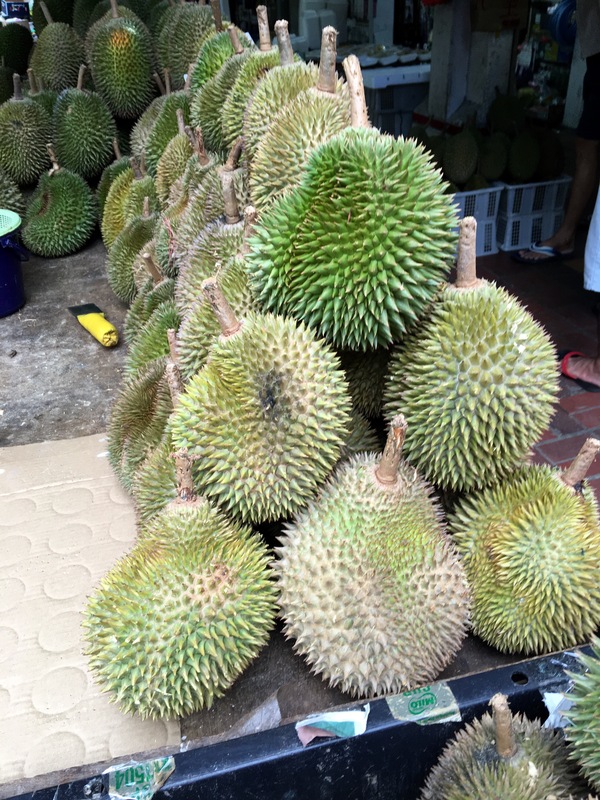 I happen to love the smell of durians — go figure. There are two fruit vendors on my way home that offer huge piles of them (I’ve been told that they are in season right now). So Kristen and I stopped and I asked if I could have a taste of one. 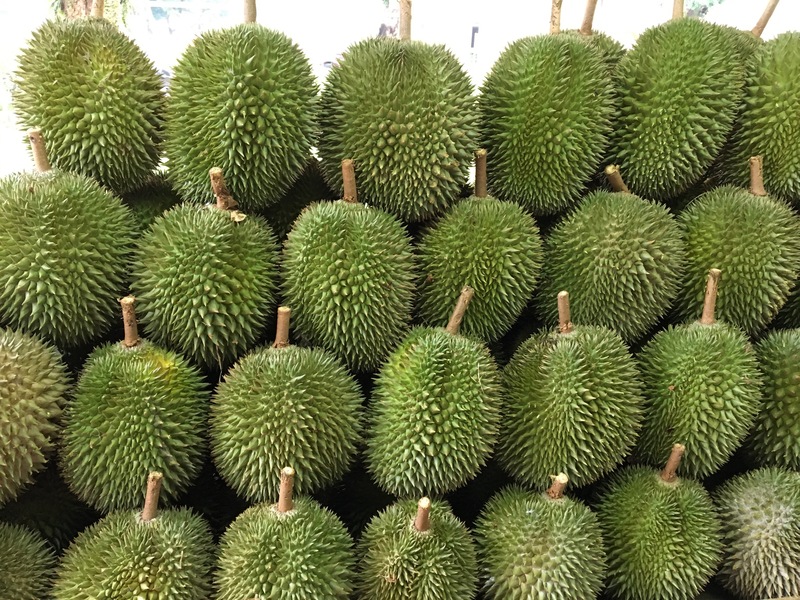 After some confusion involving a serious language barrier, the vendor opened a fresh durian and offered me a slightly slimy, slightly custardy segment surrounding a rather large pit. So that’s it. I’ve been waiting to try durian for about twenty-five years, since I was last in Southeast Asia, and now I’ve done it. I wish I’d liked it more, but the appeal is lost on me.